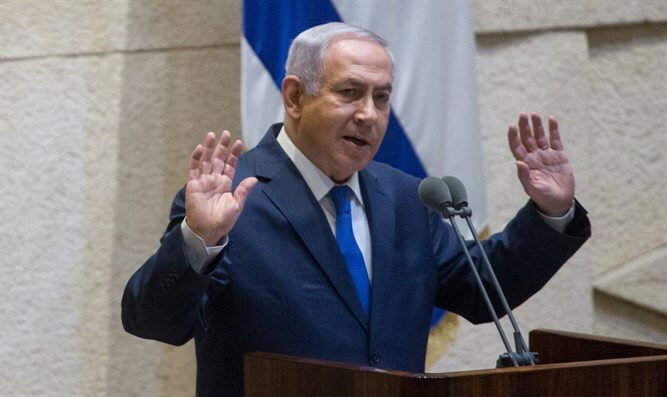 Prime Minister Binyamin Netanyahu hit back at Turkish President Recep Tayyip Erdogan on Sunday over his criticism of Israel after 17 Gazans, at least 10 of whom were knwon terrorists, were killed during riots along the Gaza border on Friday. Erdogan had condemned Israel over its "inhumane attack" on the border between the Gaza Strip and Israel. "The most moral army in the world will not be lectured to on morality from someone who for years has been bombing civilians indiscriminately," Netanyahu wrote on Twitter. He added, referring sarcastically to April Fool's Day: "Apparently this is how they mark April 1 in Ankara." At least 30,000 people took part in Friday’s planned riot, IDF Spokesman Ronen Manelis said Friday. Protesters burned tires and threw firebombs and rocks at the border and at IDF forces. Hamas also sent a seven-year-old girl to confront IDF soldiers who were stationed along the border fence with Gaza. The IDF ensured that the girl returned safely to her parents. On Friday evening, the IDF thwarted an attempted shooting attack by a terror cell in northern Gaza.